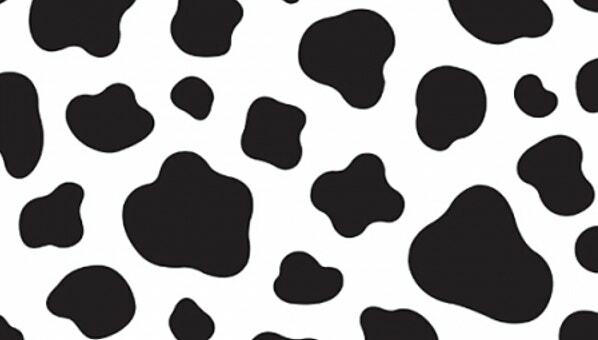 Cow patterns are quite popular these days. 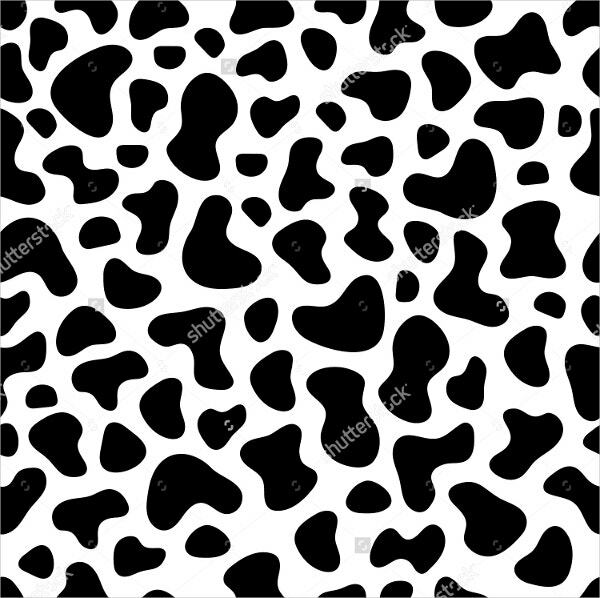 Seamless cow patterns are ideal for website design, graphics work and for various photoshop works. 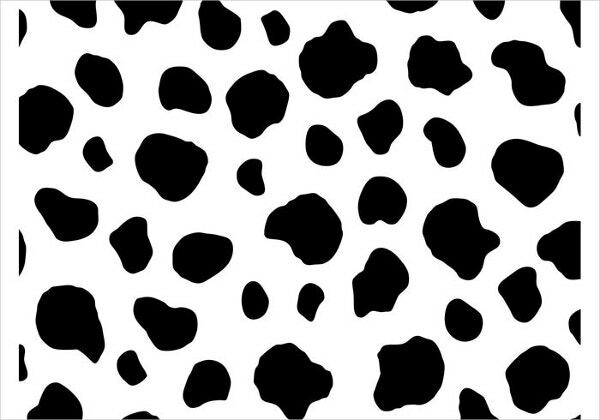 To give you a better insight, we have collected few captivating cow patterns designs for making easy decisions. These files can be used for various purposes and modified as per need. The formats are compatible with Photoshop and layered files can be formatted depending upon the needs to produce new artwork. You can also see Cat Patterns. A beautiful and seamless Dalmatian pattern is available in the form of vector illustration. It is available in layered format. There are 2 EPS10 files and 2 JPEG files with 4000 X 4000 pixels resolution. The file can be used in Adobe Illustrator as well. You can also see Crown Patterns. 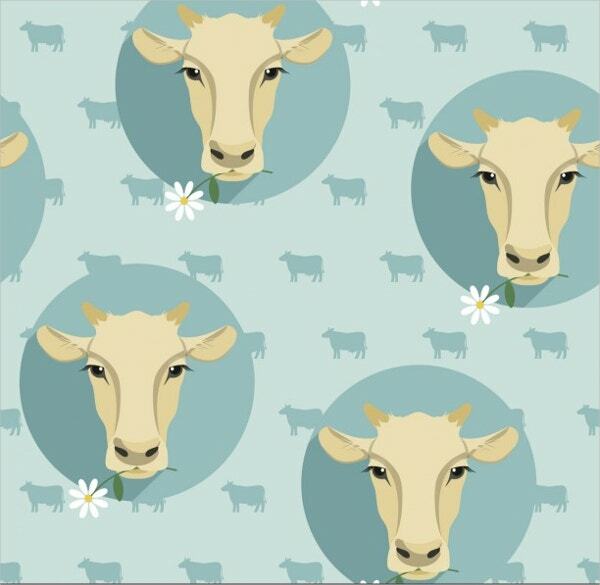 This seamless cow pattern design is very beautiful and looks elegant. It is perfect for web design and funny anime designs. Available in 100 percent vector and multiple file format and dimension as per need. This can be used with Photoshop. You can also see Tribal Patterns. This funny anime background with the green color background makes it look attractive if used in website backdrops or any other graphic based works. The file is available in both JPG and EPS format. The resolution available are 72dpi for web use only and 300dpi for both web and print. It is scalable to any size in EPS format and JPG comes between 450 X 450 and 4331 X 4331 pixel resolutions. The spotted cow seamless pattern looks amazing. It is a 100 percent vector illustration. It is available in multiple sizes and format of choice. 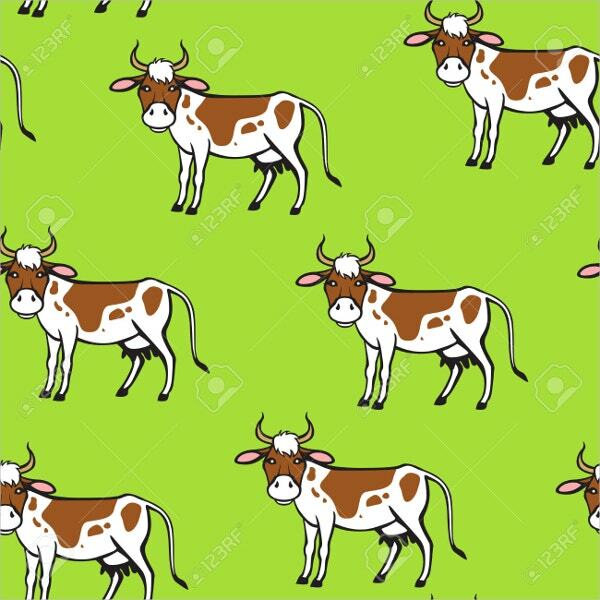 This is an editable vector design with a cow emblem in green background fixed in the center of a spotted cow pattern. This is compatible with Photoshop or other editing software. 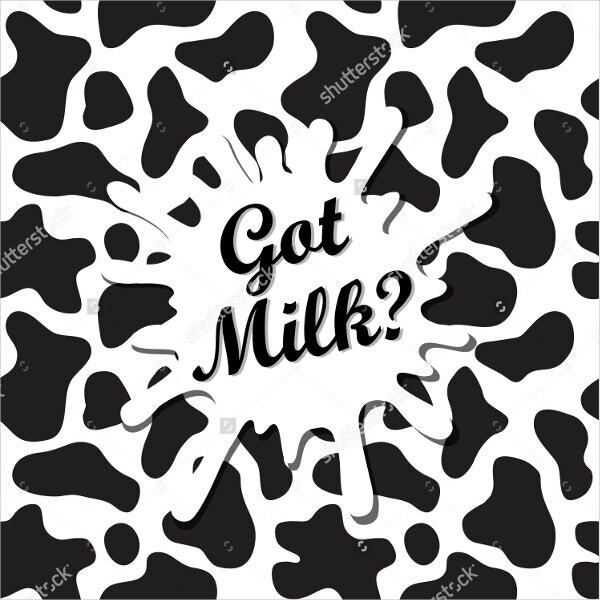 The black and white cow print with milk spot pattern and text is available in high resolution in multiple sizes as per need. 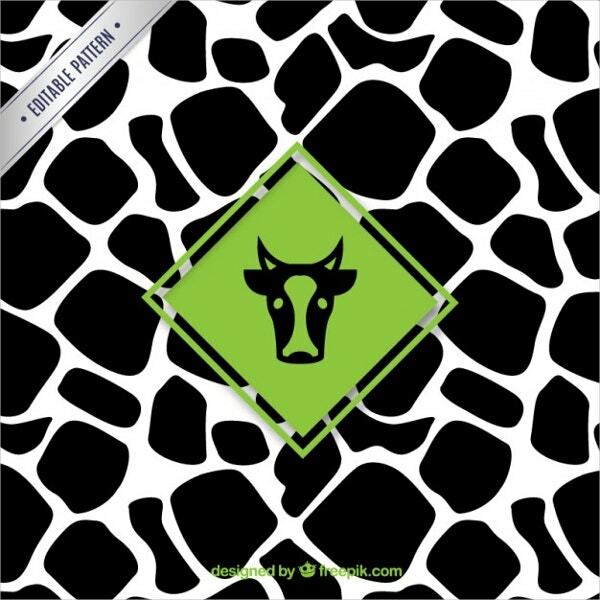 This set of cow heads patterns with cow background is editable vector and compatible with Photoshop. It can be used with credits in case of free usage. 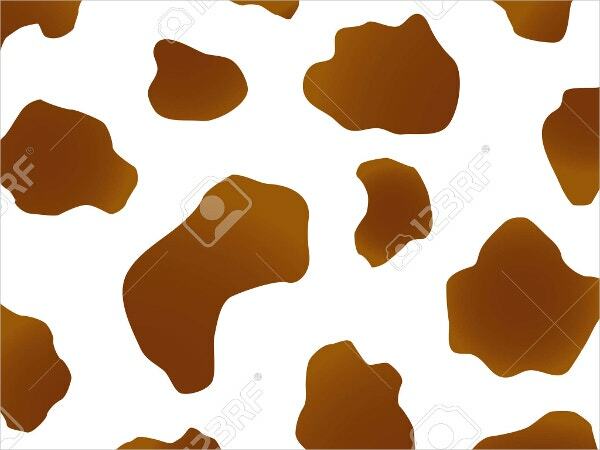 Brown and white cow skin spot pattern available in JPG and EPS format. JPG available between 450 X 338 and 3333 X 2500 pixels and EPS format is editable to suitable size. The image is available in 72dpi for web use and 300dpi for print and web use. 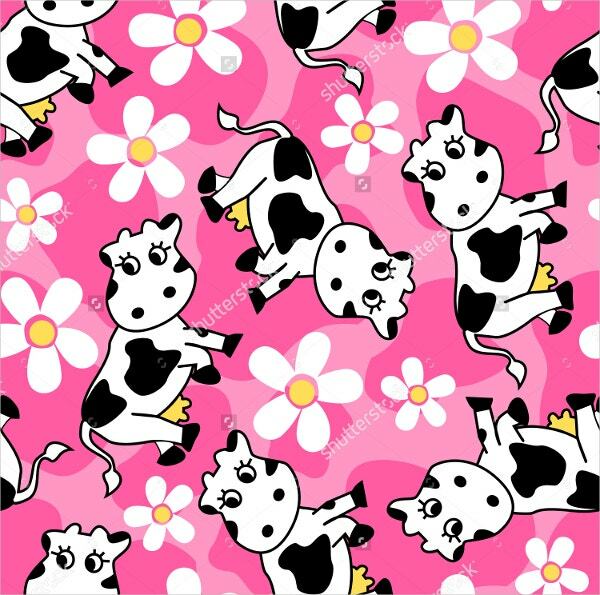 A cute looking cow pattern that looks good as wallpaper and in banners. The pink color and the flowers scattered all around gives it a feminine touch. It is available in high resolution and various sizes for different use. 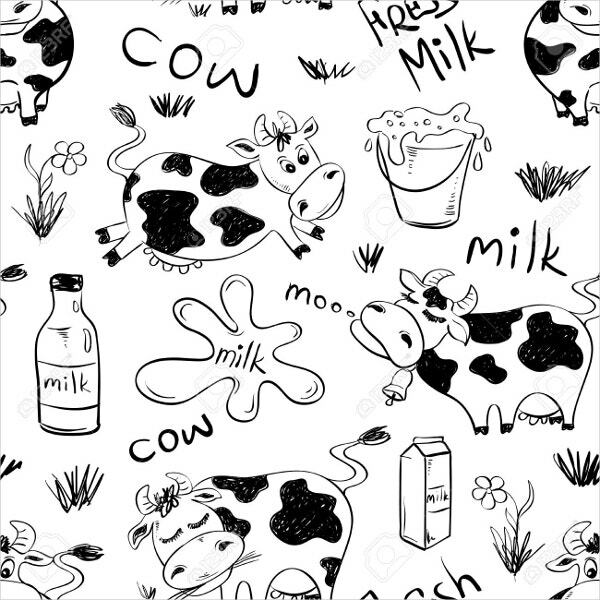 It is a funny sketch of seamless cow pattern and milk with text. Available in JPG format from 450 X 450 to 4167 X 4167 pixel sizes. The resolution available are 72dpi and 300dpi. The EPS format is available with customizable size. 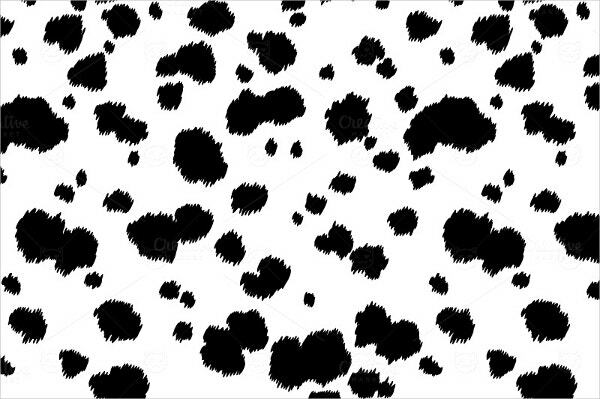 This is an amazing livestock and cow skin pattern with neutral colors, uneven shapes and available in vector design in high resolution. This can be used in Photoshop for creating various artwork and illustration. It is perfect for background image. You can also see Leaf Patterns. 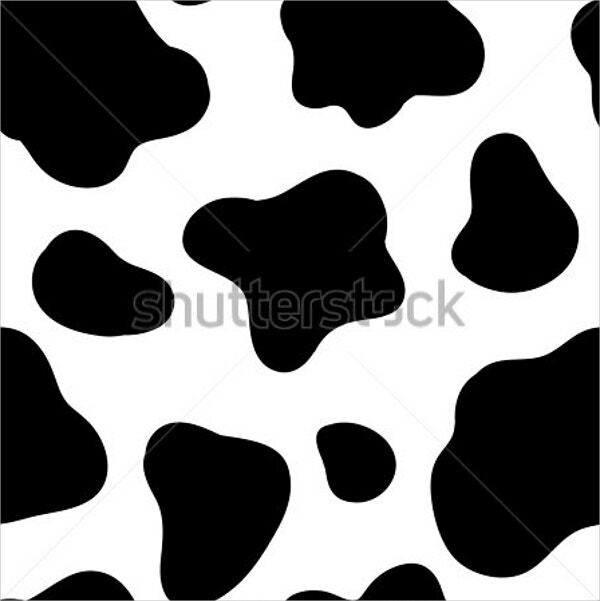 These seamless cow patterns are amazing. They easily increase the level of temptation and attraction of any designs. Each design has a color and a look that is vibrant. Every design adds a wow factor to your illustration. Choose the one that is best and make your design count.